Everyone has a wee bit o’ the Irish in them on St. Patrick’s Day! Put your finest green tweed on and get into the true spirit this year with our take on traditional Irish feast favorites like Corned Beef and Cabbage or a Palm Sandwich. 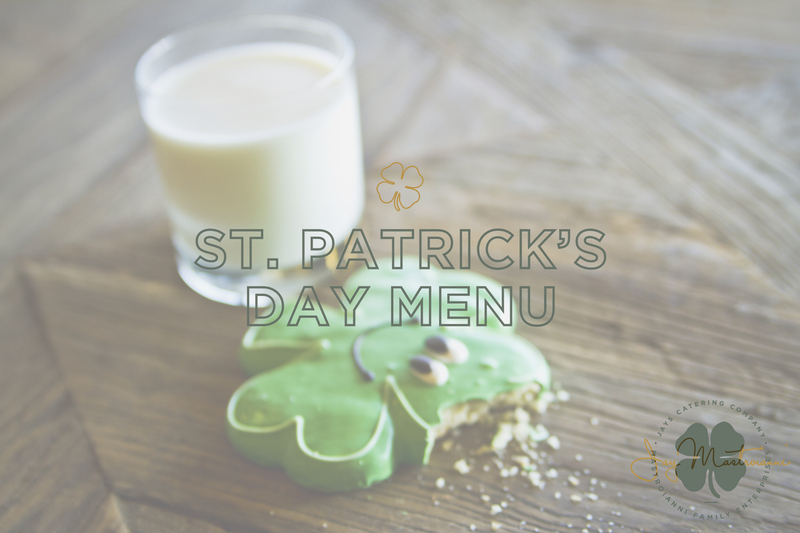 And don’t forget to finish on a sweet note with our decadent Shamrock Sugar Cookies! Whether you’re just planning on dinner for a few friends or want to throw a full-on parade, we have all of your St. Patty’s Day cuisine needs covered. Conveniently pick your order up from either Jay’s Catering or Ellie’s Table. Sláinte!